Building a quote is quick and easy, this lesson will show you how to make a simple quote and email it to your client. This is the where you build quotes and invoices online. 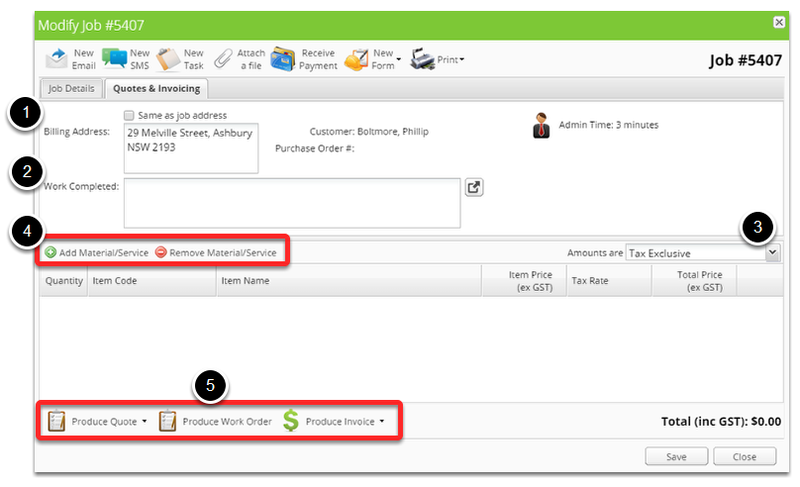 Billing address: This is the address that will be used when generating an invoice, it is also the address that the invoice will be sent to if sent by instant post. 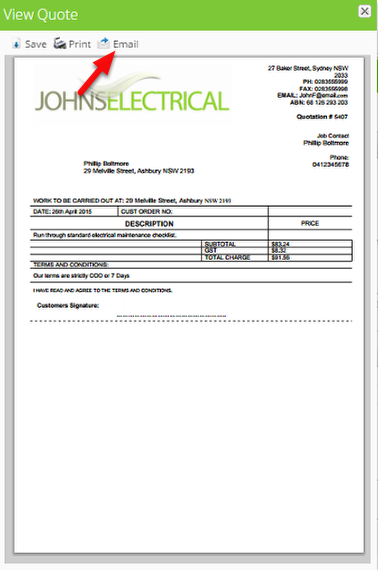 Work Completed: Work completed is used a summary of work done for the client, this information will be displayed on your invoice if you have selected an invoice template that uses that information. Tax Setting: This drop down menu sets whether you would like to enter your material/service prices in as tax inclusive or exclusive. 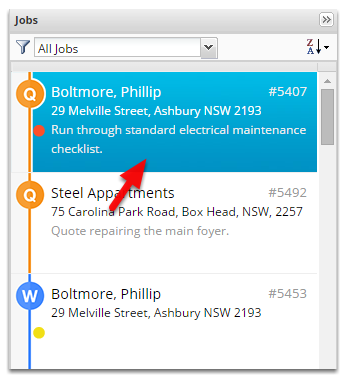 Material/Service add & remove: These buttons add and remove material/service items from the job. Produce Template buttons: These three buttons do as they say and produce a pdf, if you have more than one version of a template you can hit the down arrow to select the template you want to use. In ServiceM8 adding a new item that isn't in your inventory is easy, simply fill in the fields and it will automatically be added to your inventory when you save the job. If you change the price or tax rate of an item loaded from inventory it will only affect this job, the next job will use the price and tax rate originally set when creating the job. To change the default item details go into the materials page inside Settings. 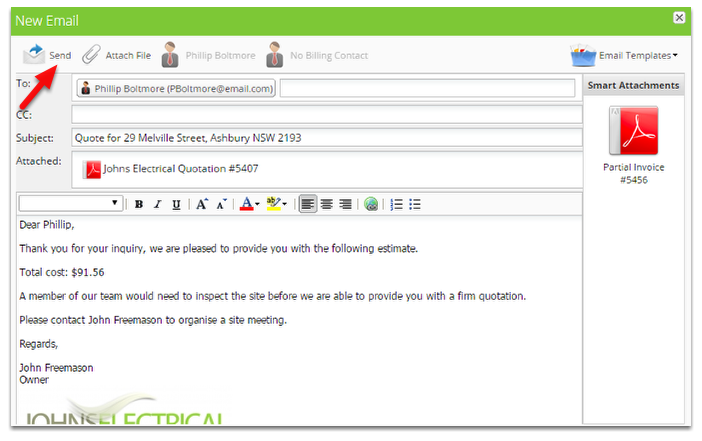 The email will automatically be filled with the clients information and attached the quote. Now click Send - and your done! Congratulations you just built and sent a quote to your client. Your next step is to schedule the job to a staff member.